Packing my baggage and 2000 followers | Cosa Mi Metto??? Today we'll leave for Roma, and after a couple of day with my family, we will take a plane with two friends of us for the Germany, the stops are Norimberga and Monaco. I need all your advice: what to pack, where to go, what to visit, where to eat, where to shop, everything to do once there.. I'm waiting for all your precious suggestions!!! Don't worry about my absence, I've got same posts ready to be shared for these days! And when I'll be back I'll answer to all your adorable comments! Oggi partiremo per Roma, e dopo un paio di giorni con la mia famiglia, prenderemo un aereo con due nostri amici per la Germania, le tappe sono Norimberga e Monaco. Ho bisogno dei vostri consigli: cosa mettere in valigia, dove andare, cosa visitare, dove mangiare, dove fare shopping, ogni cosa da fare una volta li..Aspetto tutti i vostri preziosi suggerimenti!!! Non preoccupatevi della mia assenza, ho alcuni post pronti per essere pubblicati per questi giorni! E quando tornerò risponderò a tutti i vostri adorabili commenti! It's such a great goal to me! I can't believe it! Now I wanna really say thanks to all of you, for your support, and for your kind and sweet words, I really appreciate them! E' davvero un importante traguardo per me! Non posso crederci! Ora vorrei davvero dire grazie a tutti voi, per il vostro supporto, e per le vostre gentili e dolci parole, le apprezzo davvero molto! loved your blue dress. and luggage is adorable, too. have a safe trip! and have Cupcake fun! te li meriti gli apprezzamenti, sei davvero bella e brava ... e quando questo riconoscimento è pronunciato da donne acquista un enorme valore!! fai buon viaggio!! Congrats on 2000 followers! As always I love your outfit! Congrats! I love your outfit! what a lovely dress! U look so chic! Congratulations for the 2000 followers! I've never been to Nurnberg, but Munich is amazing! You definitely have to go to the famous beer houses downtown and especially to the Hofbrauhaus! That's something so typical german that you can't miss! It sounds like lots of fun! Can't wait to hear about it! And the photo is so cute. Thank you for your lovely comment, I'm loving your style! CONGRATULATIONS!!! are you coming to Hamburg?? For Monaco, I suggest you to check out the square near the palace, the beautiful garden and of course Casino :) The building is gorgeous! The weather is fine here now. Lucky you. Maximilianstr./Residenzstr. for shopping, behind the city hall. To go out: Lenbachs and P1 I would say. I've never been in those places but have loads of fun! congrats for the 2000 followers! have fun in germany, can't wait for the photos there! Thank you very much for your kind words.! Also your style I like.! I'm sorry if something wrong in my English ... still learning :).! i follow your blog from now. Congrats for your followers! Your blog is really nice! Hey pretty madame! You look great in that dress, suits your very well! :) Are you italiana? Your blog is great, I'm going to visit it more often! Besides; thanks for your sweet comment on my blog. I was happy about! Congrats sweey! You're getting great!! :) Kisses! Congratulation for your 2000 followers. I love your outfit, and your suitcase! Please go take a look at my new outfit post. Thanks a lot. I like the nailstyle so much! I visit your blog every day, i`ll be waiting yor you. congratulation!! I love your outfit!! Divertiti in Germania! Vedrai che ti piacerà moltissimo. A Norimberga sono stata solo un giorno, sono stata a vedere il museo dell'olocausto, che è molto commovente e bellissimo, e ho fatto anche un giro veloce nel castelletto e nella città - mi è piaciuta ma in un giorno solo non è che si possa vedere tantissimo. Anche a Monaco sono stata solo un giorno e l'ho passato all'Oktoberfest :) è una città carina. Congrats on 2000 followers! thats amazing! i love your dress! it looks so good on you! Thanks for your comment on my blog and i am glad that Im part of your 2000 followers! sei molto carina a passare da me qualche volta anche se ormai sei una blogger "VIP" (l'avevo detto io!.....) io guardo sempre i tuoi post , ma spesso non commento , per pura mancanza di tempo...il lavoro, la casa , le ragazze che pur vivendo da sole mi coinvolgo nella loro vita, un minimo di socialitè, ed ora anche il blog .Anche a me piace rispondere a chi mi commenta, e così le giornate dovrebbero avere 24 ore.
Ti invidio molto per la tua trasferta a Norimberga e Monaco . A Monaco ho vissuto per quasi un anno da ragazza , è una città stupenda , viva , piena di gente allegra. Copriti bene , potrebbe essere freddo. Congratulations on 2000 followers! and I hope you have a great holiday. Also I love you dress and shoes, and I have got to say your hair is amazing! congrats ! I am following you as you said, wanna follow me back? Love your dress ! nice haircut ! 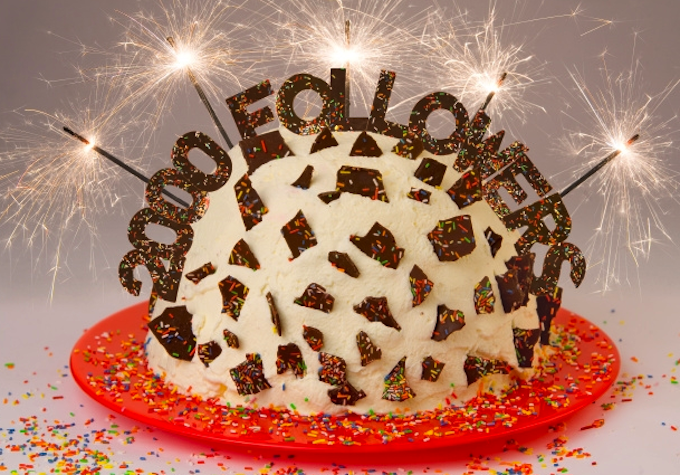 Congratulations on hitting 2000 followers--wow that's a major milestone. I was thrilled just to hit 100. Also--hope you have a great time during your travels. I'm sure you'll look fabulous no matter what you wear! Desejo ainda mais sucesso e muitas felicidades! Congratulations!!! 2000 followers can't be wrong... your fashion blog is inspiring! Complimenti e buon viaggio, ma ti porti il "lavoro" anche "on the road" ?!? @Mik and Un coup d’aile: Unfortunately Hamburg wasn’t planned in the trip! @CHRISTINA KEY: Yes, I’m italian, I hopa that you can improve your italian reading this blog! Thank you for all your comments and for your tips!!! Grazie per tutti i vostri commenti e per i vostri consigli!